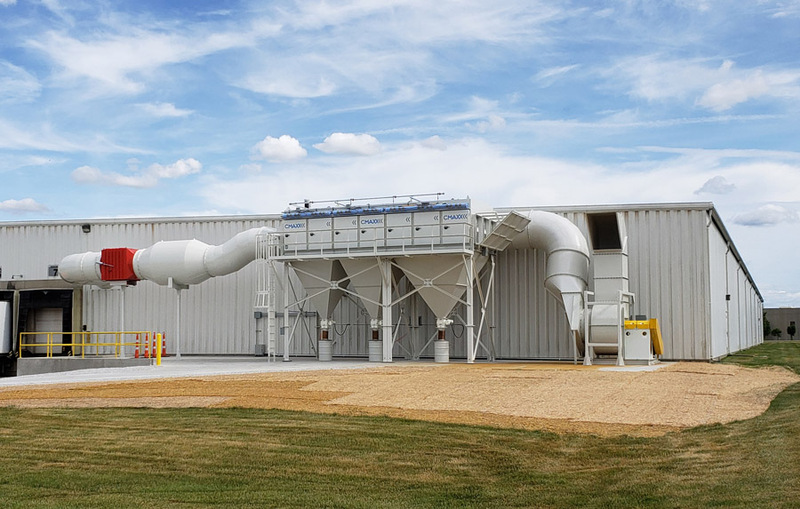 A dust collection system is a big investment for any business, so it’s important for a company to consider all of the fabrication activities that could potentially produce dust or fumes. More often than not, welding and plasma and laser cutting are the first that come to mind. And because most companies perform all three under the same roof, it’s safe to assume that they’re all wondering the same thing: Can the same dust collector handle all of these different jobs and the dust and fumes they’re producing? The answer, of course, isn’t always cut and dry. It depends on the type of materials used as well as the size and layout of the shop room floor. Sometimes, however, the answer is yes: If the situation is right, one dust collector can handle it all. 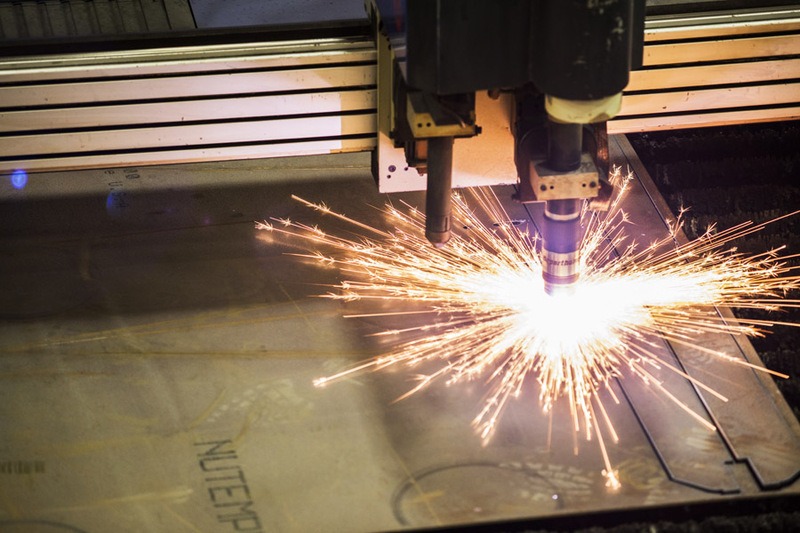 The metal dust produced from a plasma cutting machine is most likely the same produced by welding, meaning the same safety protocol can be applied to both. In most facilities with welding and cutting applications, typically all of the work is being done on the same metal material. This means that the metal dust and fumes should have the same characteristics. Before an engineer designs a dust collection system, they typically order a dust test to find out more information about the facility’s dust. This information helps them design the fire and explosion safety features for the system. Because the metal dust produced from the plasma and laser cutting machines is most likely the same as the dust produced by welding, the same safety features should work for all three. For context, welding fumes are made up of a mixture of dust, gases and water molecules. If the metals are not the same, as is often the case for fabricators, the dust collection system has to be designed to handle the one that is the most explosive. For combustible material, such as metal dust, most manufacturers recommend nanofiber fire-retardant filters, which would work for both applications. When using one dust collector for all metalworking dust and fume collection, major considerations include the type of collection system, the facility’s layout and any special exposure limits for the material. For fabricators that want to run everything on one dust collector, an experienced system designer can create a system that accommodates this request. Under certain circumstances, though, the system designer may recommend more than one collector. 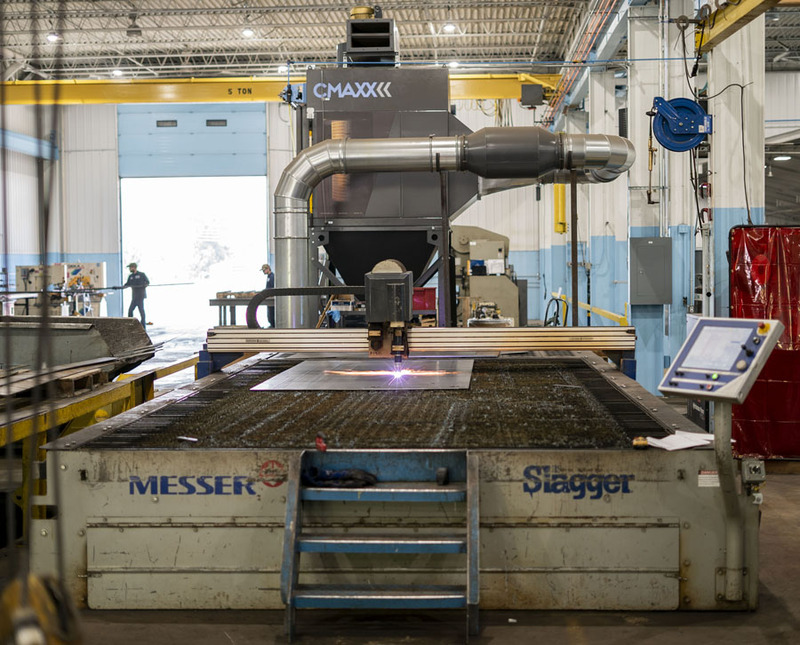 A downdraft table is typically used for plasma cutting operations, which requires ductwork running directly to the dust collector. Because welding fumes are often managed with source capture or ambient airflow, the same collector might not work for both processes. When considering whether just one dust collection system can handle the job, it’s important to consider where fabricating activities are taking place in a facility and how the dust and fumes are being extracted. For plasma and laser cutting, a downdraft table is typically used, which requires ductwork running directly to the dust collector. Welding fumes, however, may be handled with source capture or ambient airflow. Ambient flow systems do not usually work well with a downdraft table because of issues balancing the airflow, so if the plan is to operate most of a facility on ambient airflow, it may not be possible to use the same collector for both. If welding fume collection will be handled with source capture, however, one dust collection system is still an option. Depending on where the plasma or laser cutter is located and where the welding work area is located, this could require a large amount of ductwork. Running this much ductwork can be expensive, and long stretches of ducting can complicate airflow calculations. It is still entirely possible to use one dust collector in this situation, but the system must be designed to the correct size and airflow. Sometimes, there may be physical obstacles to running ductwork across an entire facility, which puts obvious limits on the use of a single system. When considering welding fume collection, the material being welded matters. 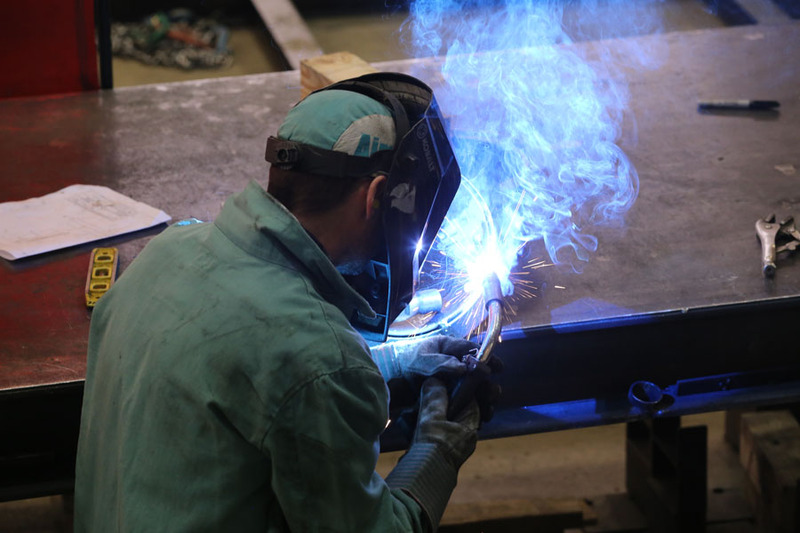 If the fumes contain hexavalent chromium from welding stainless steel, for example, the system has to be designed to absolutely minimize the fumes that the welders are exposed to or that escape into the facility. Because this may require hoods with strong airflow to ensure no fumes escape, this may affect the overall airflow of the system. The total size of the facility and the number of cutting tables and welders also affects the size of the dust collection system. For a large facility with various work areas, it might be more efficient to install more than one dust collector to service the multiple areas. Fortunately, a system designer can work with decision makers to determine which option is more cost effective and safer. Welding fumes are made up of a mixture of dust, gases and water molecules and can be very harmful to anyone exposed to them. In many facilities, one properly sized dust collector will work for cutting and welding applications, particularly if the metal being cut is the same metal being welded. In these situations, the dust collection system can be designed for one type of metal dust. This is important because certain dusts, such as aluminum, are more combustible than other types, such as general steel dust. It’s important to know that a dust collection system’s fire and explosion safety devices must be designed for the most combustible dust that the system will handle. For this reason, a dust test might be recommended for the different types of dust produced by the different processes taking place. A dust test provides information about how combustible the dust is, how easy it is to ignite as well as other important data. NFPA 652, the National Fire Protection Association’s Standard on the Fundamentals of Combustible Dust, also requires that all facilities with combustible dust conduct a dust hazard analysis. For existing facilities, the deadline for this was in 2018, but it’s not too late. The goal of a dust hazard analysis is to identify all areas of potential danger. This includes ignition sources and places where dust might be escaping into the facility. In a shop full of welders and plasma and laser cutting tables, ignition sources are everywhere. This makes full and complete dust control essential. For companies interested in using one dust collector, the system must be sized correctly to make sure it’s up to the job. In terms of proper sizing, insufficient airflow can be a problem with a poorly designed dust collection system. Without enough airflow, measured in cubic feet per minute and driven by a system fans, collection points may not be able to pull dust away from the work area. Also, insufficient airflow allows dust to drop out of the air stream and accumulate in the ductwork, creating an explosion hazard. Imperial System’s CMAXX industrial dust and fume collector system, which can be customized for the needs of each customer, delivers maximum cleaning performance to keep employees safe from harmful fumes and dust. To avoid these hazards, make sure the system designer is aware of how many collection points are planned. For those with future growth plans, oversizing the system now will probably be much easier and less expensive than adding more dust collection later. It’s very difficult to upgrade an old system to handle more work. While some dust collection systems are designed to be modular and can be upgraded, it’s almost always less expensive to size a system for future workloads. Another issue to be aware of in terms of system design is running ductwork from one collector to different areas of a facility. In a smaller building, this is probably not an issue, but in a large facility, it could be cost prohibitive and require a lot of airflow to keep air moving through all of the ductwork. If there’s a long distance between the welding area and the cutting table or if there are obstacles to running a lot of ductwork, this needs to be factored into the dust collection system’s overall design. Generally speaking, one dust collector should be sufficient, but because every company’s facilities and operations are different, their needs for dust collection will be different too. While in most cases one dust collection system will work for multiple fabricating processes, there’s no substitute for the advice of an experienced system designer. If one dust and fume collector is a good option, they will be integral in designing a system that meets current and future needs.